This is the second book in the series. 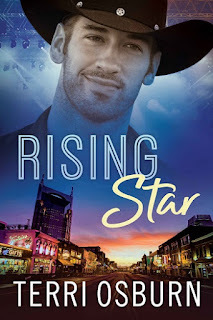 I would recommend that you read Rising Star first as the underlying plot is ongoing, and we do meet up again with Dylan and Charley. Chance has come out of rehab and needs to satisfy his new record contract with songs for his album... but along with the drink has gone his muse. When he discovers that his ‘one that got away,’ Naomi, is his label's PR guru, he cannot believe he is going to have to work with her. Naomi's memories of their breakup are raw too, so they both have a big task ahead. I really liked this setup, and as we learn why he did what he did and as Naomi does too, then we just have to trust that Ms. Osburn will manage to wrangle things so they work out by the end. The journey is a good one, with some difficult issues tackled, and some really insightful points about addiction, love, hope, and trust. There were some important characters who acted as foils to the story, and gave us a less biased view of the couple and their possible romance. The book also deals really well with a number of difficult issues that arise from rehabilitating a country music star to where he belonged. It was good to see Dylan doing well, and the promise of more romance at Shooting Stars records. 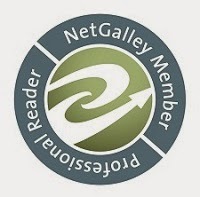 For reviews & more info, check out our Rising Star post. Terri Osburn started putting words on the page in 2007. Five years later, she was named a finalist in the Romance Writers of America Golden Heart contest for unpublished manuscripts. Shortly after, she signed with an agent and moved into publication, with her debut novel, Meant to Be, released from Montlake Romance in May 2013. Terri lives on the East Coast with one high schooler, three long-suffering tabbies, and a hyper Yorkiepoo with attachment issues. 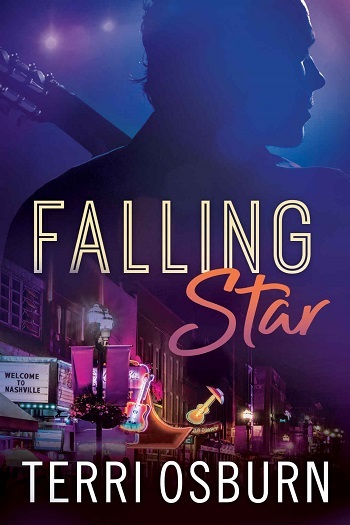 Reviewers on the Wicked Reads Review Team were provided a free copy of Falling Star (Shooting Stars #2) by Terri Osburn to read and review.